It was early October, we were in Kuala Lumpur doing our first house sit and were planning our next destination. We knew we wanted to go somewhere in South East Asia and also that we wanted an actual vacation. Sun, beach, swimming pools, cosy hotel rooms, cocktails and good food (as always). After doing some research, October in South East Asia can be quite rainy except for Bali. 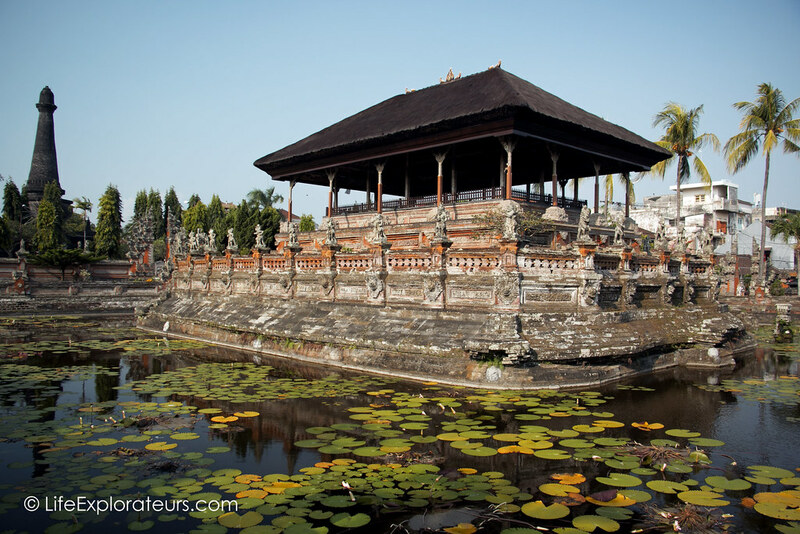 But somehow, Bali was not on our travel bucket list, at least not in the top 10. Of all travel destinations, especially in South East Asia, we didn’t want to go to Bali because it is too touristy. And we were so wrong to think so ! I mean, it is very touristy but I get why. Bali has everything you can expect form the perfect holiday destination. It can be for honeymooners, couples looking for a romantic getaway, a family travelling with kids, friends celebrating an event together, nature lovers, art lovers, spiritual travellers, party animals, foodies… and the list could go on and on. And of course, all that for cheap. Not the cheapest in South East Asia but still 3 to 2 times less expensive than our western standards. Here are all the things that made us fall in love with Bali and want to go back. 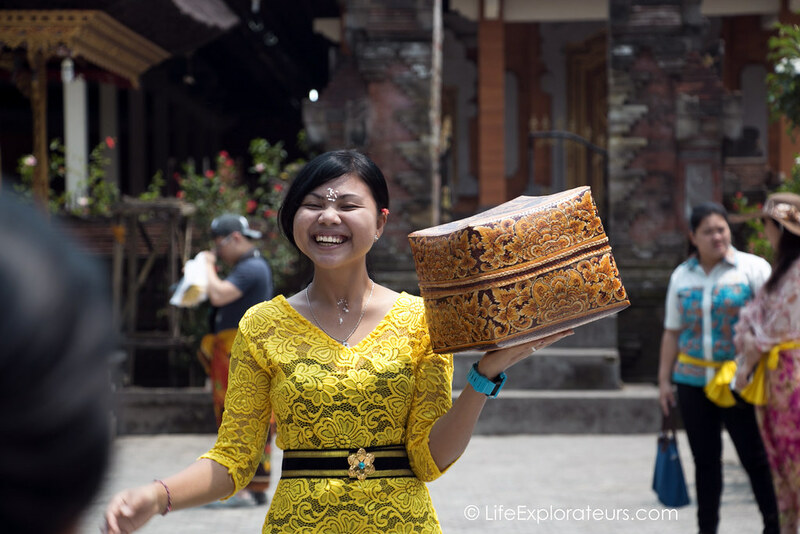 Balinese people are one of the friendliest people we met on our travels around the world. They are genuinely welcoming and always smiling. In some touristy destinations people are so annoyed with tourists sometimes, but there, even though they see so many tourists every day they will still serve your food with a big smile and give you directions to that temple you want to visit. Oh balinese cuisine… Compared to other cuisine in South East Asia I thought balinese was the tastiest. 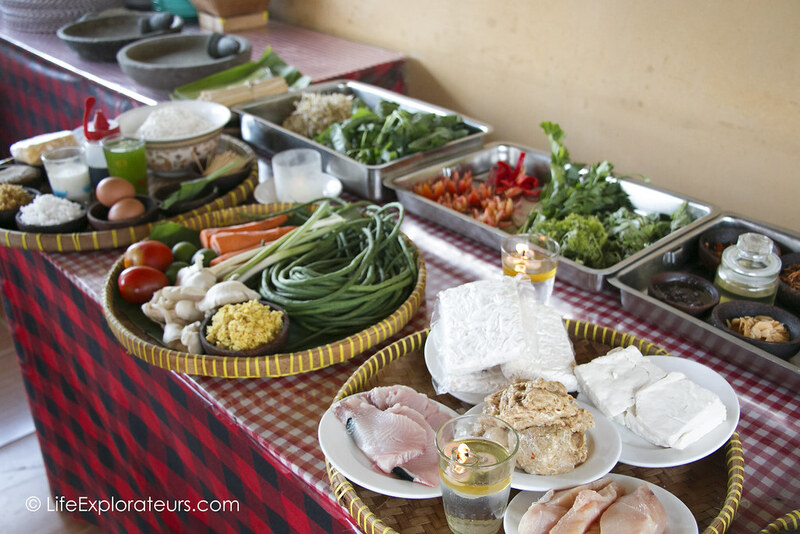 When we were visiting Ubud, we tried a cooking class for the first time and got to understand more how typical balinese dishes are made. It’s a mix of ginger, turmeric, coconut and lots of other spices that makes balinese food soooo delicious. I cannot wait to devour another Nasi Campur ! 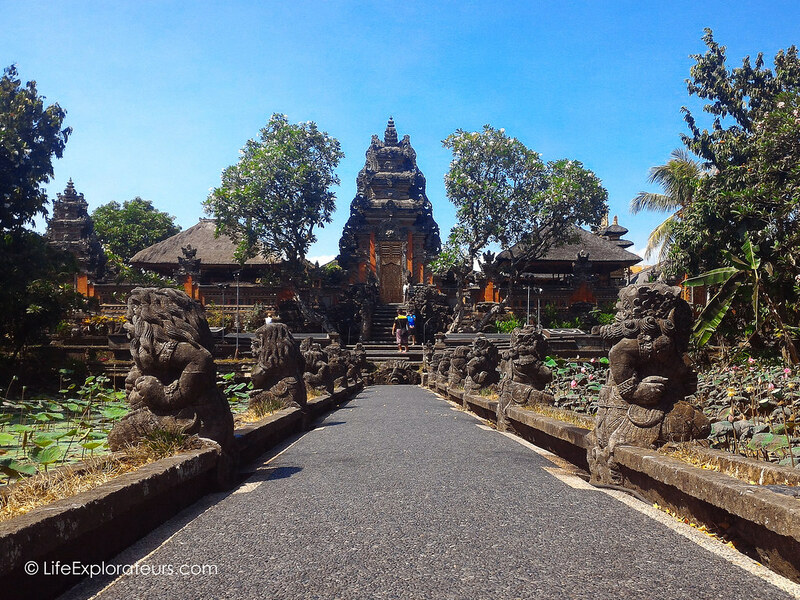 Everywhere in Bali, you will find a temple, actually even houses look like small temples. Religion is important in every day life, there’s always a ceremony somewhere and the women make offerings every day, several times per day. Art is also a big part of Bali, in Ubud for example you’ll walk around many art galleries selling beautiful paintings and sculptures. During our time in Bali, we were supposed to stay 4 nights in Ubud and then head to a more remote part of the island. But when we got there, we couldn’t leave ! We were staying at a lovely hotel in our own little cottage with a pool, we were enjoying the food, the temples, the food, the markets, the food, the dance shows at night, the spas (4€ balinese massage, yes please ! ), the food… We had to stay longer in this little paradise. Ubud is one of our favourite places in the world. 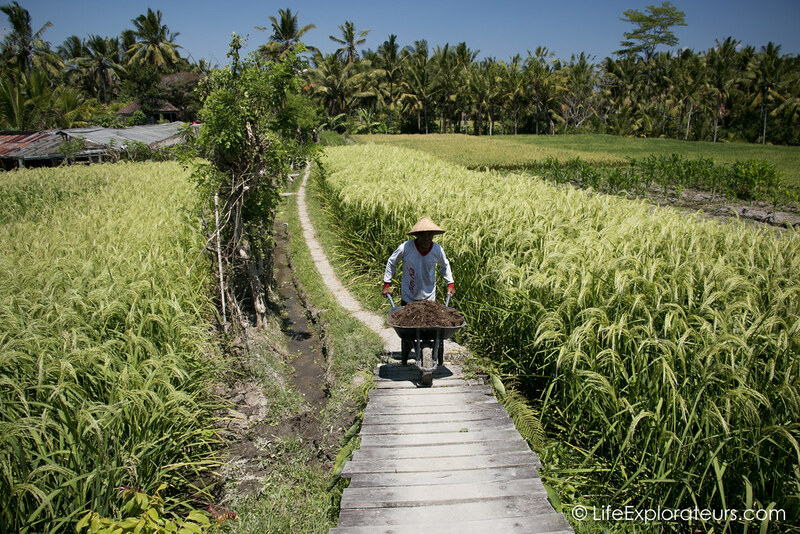 We gave all of our best tips to enjoy Ubud here. We didn’t explore every inch of the island because we like to travel slowly and take our time. Plus we knew as soon as we got there that we will come back so we were not in a rush. But the little nature we got to see took our breaths away. Now next time, we’ll have to trek on that volcano ! And on top of all these reasons it’s cheap ! Sure, compared to other countries in South East Asia it’s probably double, but it’s still half price from Europe ! So what are you waiting for ? There are a hundred more other reasons to go, which one would you pick ? Tell us in the comments below ! Tu fais de belles photos Violette!